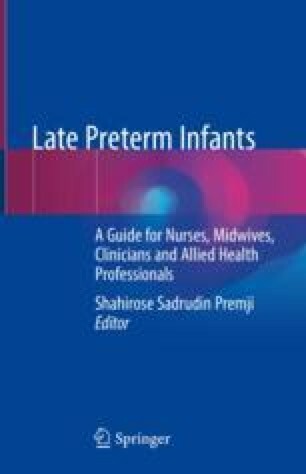 Achieving standards of care that meet the needs of late preterm infants (LPI) in neonatal intensive care units (NICUs) can be challenging. Most often, the emphasis of care for LPIs is on developing competent feeding skills, although this at-risk population can also experience significant physiological and neurodevelopmental morbidities. The qualitative research reported in this chapter suggests that there is a proliferation of policies, technologies, and safe practice mechanisms being implanted into NICUs. Such strategies create barriers as nurses’ attempt to respond to the needs of LPIs, in particular they impede nurses’ responsiveness to infants’ cues. The findings provide an alternate view to understand how quality and safety initiatives can unfold in ways that override nurses’ professional contributions to the optimal care of infants and their families.